The biggest news to come out of EA’s E3 2017 presentation (or EA Play 2017 if you want to get technical) was Anthem, BioWare’s new IP. Anthem was revealed with a teaser trailer that gives a tiny little glimpse into the game’s world and themes. Apparently, this is a sci-fi games that takes place on an alien planet (or planets), and players will have access to jet-powered mech suits. We can continue to dissect the trailer for more details, like the fact that “The wall” seems to be an important part of the game’s story and world. You’re safe within its borders, but “out there” there is only primeval danger. 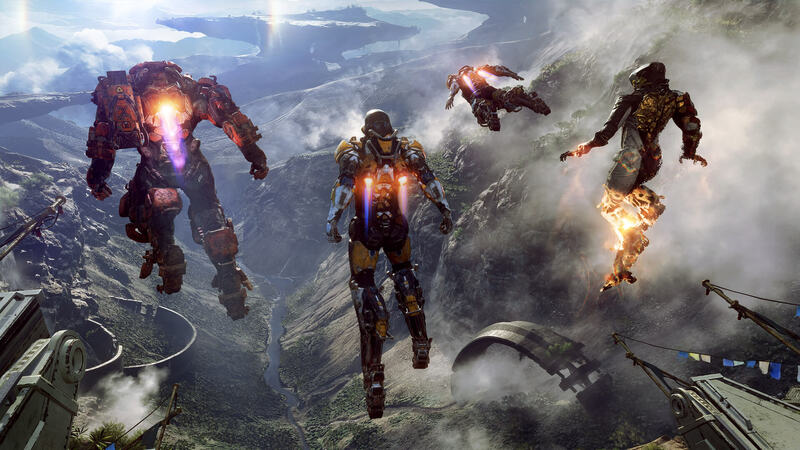 We can also be fairly certain choice plays a big role in Anthem. First of all because it’s a BioWare game, but we also hear the narrator talking about “the choices you make” and how you can either live with them or die trying to change them. From this point on we can only speculate. Will the game have a deep single-player campaign, or is this more of a shared experience, like the only screenshot we’ve seen so far suggests (see below)? Do we play humans? Robots? Something in between? There are a lot more questions we need answered, and EA currently refuses to do so. Luckily, won’t have to wait too long for at least some answers. We will be getting the first details on Anthem tomorrow, June 11, during Microsoft’s presentation. Come back then to learn more about Anthem, and all the other big games Microsoft will announce.